We ensure that students have a smooth transition from Primary to Secondary School with the required foundation to succeed in the next phase of their academic journey. The curriculum at each year group is uniquely designed to ensure a seamless transition to the next grade. Sunmarke School follows the National Curriculum of England and is pursuing authorisation as an IB World School to offer IB in Years 12 and 13*. The focus of the Key Stage 3 (KS3) curriculum is the development of learning skills and competencies, subject knowledge of the National Curriculum, and understanding of how to use and apply the knowledge in wider life. Sunmarke School provides students the opportunity to learn within multi-disciplinary subject areas. Our Senior School offers challenges, responsibilities and greater rewards for students as they reach the final stage of their school career and prepare for university life. Senior school students are treated as young adults and have the respect, opportunities and space they deserve to succeed as individuals. Sunmarke School develops them into important role models and school ambassadors with a mature sense of direction and purpose. Note, at Sunmarke School, students complete Year 7 to 8 and then move on to their GCSE Options in Year 9 – allowing them to select their own subjects in certain areas. Note, the GCSEs (General Certificate of Secondary Education) consists of a 3 year programme of study that starts in Year 9 (Key Stage 3) and continues in Years 10 and 11 (in Key Stage 4). Students fill out the Options Form choosing their GCSE subjects to be taken in Year 9. At Sunmarke School, students complete Year 7 to 8 and then move on to their GCSE Options in Year 9 – allowing them to select their own subjects in certain areas. The GCSEs (General Certificate of Secondary Education) consists of a 3 year programme of study that starts in Year 9 (Key Stage 3) and continues in Years 10 and 11 (in Key Stage 4). Students fill out the Options Form choosing their GCSE subjects to be taken in Year 9. 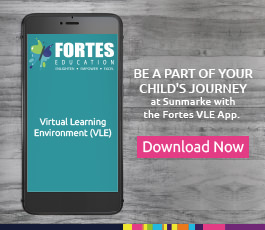 Unlike some schools, Sunmarke has not separated students into different pathways and reduced or limited curriculum choices for less able students. We believe that all students should have an equal opportunity to their education and should all receive the necessary challenge or support. However, the core is based around our STEAM (Science, Technology, Engineering, Art & Mathematics) and Creative Learning programme which underpins teaching at our school. All students will study the core subjects, optional GCSE subjects and non GCSE subjects. Subject that are most applicable to an individual student depends upon their academic ability, motivation and personal interests and options. Students discuss their subject options with their subject teachers. At GCSE, all students will initially be studying for the English Baccalaureate and there is opportunity for students to specialise in a STEAM area or continue STEAM with other creative options. Students will also participate in Core PE, which is not examined. (This would reduce students from 11 GCSEs to a minimum of 7 GCSEs). Click on the GCSE Options & Information Booklet which contains full details on the GCSE core and option subjects. The GCSE Options Form is to be filled out and submitted to the school by the end of Terms 2 of Year 8, once students have selected their Provisional choices. The form is located at the back of the booklet (or simply click the links below). After this date, if it is necessary that a student has to consider changing their initial choices, they will be interviewed by a senior member of staff to discuss the possibilities. Once students have embarked on their programme of study in Year 9, it is not normally possible for changes to be made to the subjects chosen. All students will be required to discuss their choice of subject with their subject teachers, Form Tutor, and the Career Counsellor. Students and parents will be able to speak to all staff for further clarification and for an update on the child’s progress at school. Three students share why they enjoy learning Arabic at Sunmarke as well as what it means for the future. Sunmarke's Year 9 Business Studies students enter the 'Dragon's Den' and pitch their business ideas. As part of their AS level in product design, year 12 used a real client base to design and model a child's toothbrush.